Bengaluru – From Thursday the artisans of Bengaluru will come together to protest against GST. Under the uniformed tax system, the materials like textile and other handmade products get taxed. The Grama Seva Sangha is leading the artisans in this protest. The artisans have decided to go for a tax denial protest session. The artisans are calling it satyagraha. The protesters would not charge or collect a tax. They would make the product supplies without adding GST. A similar satyagraha would be held in Hyderabad as well. This one would start from 9/11. This protest would be headed by the All India Handloom Organization. The next GST Council meeting will be organized on the same day in Telangana. One of the protesters said that the cottage industry had been already struggling to survive. The implementation of GST has nailed the ending of the industry. This protest is the last effort to rescue the industry from the ultimate demise. The protesters demand to put the handloom product under the zero tax level. In the VAT system, such products had been exempted. However, with the implementation of GST, the handloom products are getting taxed. Textile has been exempted from VAT as well. However, now with GST, the textile industry also attracting tax. The objective of GST was to bring some uniformity in the tax system by implementing simple tax slabs throughout the country. However, after the implementation, it has been seen that the tax structure does not stick to the initial objective. Now, products like khadi and handicrafts are getting taxed. Due to this, the handmade products are getting more expensive. 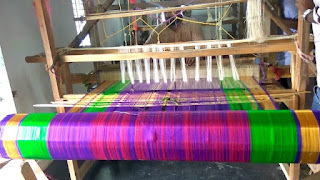 There is another problem which crippling the handloom industry. The wholesalers would not buy products from the people who don’t pay tax as such action would restrict the luxury of getting input tax credit. The convener of Grama Seva said that this tax denial would be the first Satyagraha after Mahatma Gandhi.